Government regulations said they had no choice. 17-year-old Philadelphia must stay on Earth in the care of complete strangers while her father is sent against his will to Mars. When a benevolent official allows her to accompany her father, Philadelphia knows she must keep her head down or be sent back to Earth. But when a search for her deceased brother’s Bible leads her into a hallway that isn’t supposed to exist, Philadelphia is faced with a question she doesn’t want to answer – the choice between returning to Earth or destroying it. I put it down half-way through only because I’m attempting to break a habit of staying up past 10 o’clock, and it was 11. I finished the rest the next morning, made a gushing note about it on GoodReads, then went to those dishes. Pacing contributes heavily to an un-put-downable factor, but pace alone does not keep me stuck within a book’s pages. I must feel with the characters, be there inside their heads. Aubrey’s ability to make even minor characters feel rounded and real. I was fully invested in the main character and her goals and problems. And the story! I feel like giving much beyond the blurb will be a spoiler, but I found it unique and interesting. While some twists I predicted, many more I did not. Currently, Red Rain is only the third self-published work I think was worth the read. (I’m noticing a pattern of self-pubbed novellas being of better quality than self-published novels.) Niche genre, niche length, well-edited. I didn’t notice a single grammar or spelling error, when I normally catch a neat handful in the most well-edited self-published works. (Aubrey, I know you’re reading this. How’d you do that?) As a unique trait, every couple chapters there are very beautiful illustrations of a character. I present to you my attempt at a weekly round up, that is, a conglomeration of good posts from the last week. This will be too long because I follow too many blogs. It will also be too much coolness to handle in its entirety, so just scroll through and open whatever catches your eye. 😀 If this isn’t too painful in the creation, you will get more. Maggie Steifvater with lotsa From Rough to Final links! There is so much to learn from watching the pros edit. I found Erin Morgenstern’s Flax Golden Tale wonderful this week. Read the flash fiction Monitoring System. Alison Cherry runs a pretty entertaining blog as a rule, but you know The Things We Do For Research will be a real gem just from the title. Luke Alistar offers sobering thoughts for writers on The Power You Hold. This is about changing the way you view subplots forever and Grey’s Anatomy. via Novel Rocket And to continue mining TV shows, Lessons from Downton Abbey. We were gifted with two brilliant pieces on Io9: How Not to Be a Clever Writer and 8 Unstoppable Stories for Writing Killer Short Stories. EditTorrent talks about what three varied writers need to start. Once the push from what you need to start a novel wears off, Janice Hardy has So Where Were We? Finishing Manuscripts. She also has Under Development: Ways to Create Characters. Nifty little things that have been around since the dawn of time I am only now discovering because I live underneath a rock. It’s dark here. Solving the “I don’t have the money or the oomph to travel” excuse for not attending writer conventions is WriteCon, an online conference for KidLit, MG, and YA authors. It’s free. Donna Macmeans has compiled a list of Rooting Interests, the things that get readers behind characters. A fellow aspiring writer takes the amusing route in announcing a vacation. Which I should do instead of not posting for a month without notice. Enjoy. Don’t forget to leave the your Michel Houghes Story Concept Template in the comments so we can learn about each other’s plots! Usually, fantasy and science fiction names come easily to me. But for some reason my current WIP does not want anything in it named. I was having a headache of a time, so I decided to do a little research. Maybe you aren’t having as bad a time as I was – you just need a fantasy character named, without the writer’s-naming-block. Well, you’re in luck. Fantasy name generators are a half-penny a dozen on the internet. Just google search, pull up a site, press “generate” until you find something you don’t hate, and presto, fantasy name. Go on. What are you standing around for? Still here? Good. That means you understand enough to know no generator can possibly supply a quality name, specific and tailored and an enrichment to the rest of your fantasy world. You know a generator can not supply originality or the specific need of your story. Yay! I found this humorous piece while researching. In short, it gives a good run-down of how not to make a fantasy name. Since humor does every so much better a job at explaining things (especially why things are wrong), I’ll just link. How Not to Make a Fantasy Name. It’s a quick read. I found many authors sharing their method of playing with words and sounds in order to come up with something they liked. I suppose this is what I always did before; it just came naturally to throw together sounds. Lots of writers look through baby name sites and then manipulate a name they like. One author said she would take a word, and then change it one letter at a time until she had what she wanted. At first glance just playing with sounds doesn’t sound like a good method, but don’t dismiss it too soon. This mainly relies on your ability to decide on a name that “feels right.” Which comes to my next topic. . .
What makes a name “feel right”? It’s not psychic. It’s not random. Sounds have connotations around them. Yes, this is scientific. Think about softer sounds versus harder sounds. S and L versus the hard G and K, for example. When a word, especially a name, sounds like what it means, that’s perfect. So play with sounds. . . but know what you’re doing when you play with them. If you have the time – and I highly recommend you make quite a bit of time if you don’t have it – explore the site at http://www.trismegistos.com/MagicalLetterPage/, which deals extensively with this subject. Names are part of a language. Names from the same country are going to come from the same language. Grithinlot and Tien are different fundamentally because they do not sound like they come from the same language. Brandon Sanderson, an author of fantasy, detailed the way he came up with different languages in one of his novels, and I highly recommend the source – anything I say would probably be repeating him. http://www.brandonsanderson.com/book/Elantris/page/35/Creating-the-Languages-of-Elantris. Why do you need to think about an entire language when all you want are character names? Well, what else will you need to be naming? Cities? Animals? Foods? Maybe you need a magical phrase. All words are part of a language, and you can’t ignore that while worldbuilding. As mentioned earlier, many writers have their own methods for giving their fantasy characters names. What is your method? What is one fantasy name you particularly like? What is your favorite fantasy name that you created? The Scorpio Races is currently ON SALE ON AMAZON. Click picture. I received an ARC copy of The Scorpio Races a couple weeks ago. I am ever so glad I got my hands on this book. Sean Kendrick is the returning champion. He loves the sky and the island and his horse. Horses and racing are his job. Sean races to win. Puck Connolly is different. She joins the races as a desperate move to keep her older brother on the island a little bit longer. Puck races to survive. The premise grabbed me, and the story didn’t let go. This is a tale of courage and carnivorous water horses. The island of Thisby is a salty place like the sea. Here, and only here, do the bloodthirsty Capall Uisce come to shore. They’re the menace of the island, claiming lives both from sheep and loved ones, but if you capture one and train it you have a mount of liquid lightening. The November sea stirs a Capall Uisce’s blood more than any other month. In November they are the most dangerous, the fastest. So in November the Scorpio Races are held. Sean and Puck live separate lives. Sean is quiet and serious. If he has any doubts he keeps them to himself. His one love and fear is Corr, his water horse – except Corr is owned by the island’s breeding tycoon and Sean’s employer. Puck is a stubborn orphan managing with her two brothers, the older of whom is tired of the island. She joins the races in a wild attempt to keep him around long enough to change his mind. She is the first girl to join, and will use her regular island pony instead of the much more capable Capall Uisce, partly for principal – the Capall Uisce killed her parents, – and partly because money leaves her no other choice. Do I need to explain how these two characters’ interaction is marvelous? Sean and Puck meet each other with mutual admiration and wariness and forge and unlikely friendship. The stakes rise, and they both find the things they hold dearest depending on the race, but only one of them can win. Right up until the last few pages I was unsure of how Maggie Stiefvater could take her story to a satisfying conclusion, but she did. The Scorpio Races is the only book I’ve read that I could call “slow and gripping.” The pace is slow, with only a few tense actions scenes scattered about until the climax. Even they seemed slow. But the story and scenes are gripping, literally; I have a tendency to shift my weight around and grip the sides of the book when I am excited. Part of this are the skillful POV switches between Puch and Sean. Maggie Stiefvater’s eye-opening description and phrases also pulled me into the pages. Her craft is flawless, and a beautiful model as well as an exciting read. The one thing that could have made The Scorpio Races more perfect would have been the use of past tense instead of present. I’m one of those people who finds present tense distracting. But in all, The Scorpio Races earned itself a place on my favorites shelf. I’m going to step out on a limb perhaps shakier than my twitter branch and say I see The Scorpio Races enduring time and becoming a classic. It is the first day of November, and so, today, someone will die. Well, your least favorite genre out of those listed. 🙂 Yes, I intend for this to be a difficult decision. September’s poll is closed! See the results. I’m on a Twitter branch, wondering if the branch is going to collapse. But I’m on Twitter! For a while I’ve had small things – articles of mention, quotes, super-quick prompts – that just didn’t make a full blog post. Then I realized this is why people like me use Twitter. I am still flying after authors and agents and blogs I like trying to find their Twitter accounts, still have no Tweeting schedule, and still have yet to sort those pesky tags and categories on this blog, but you can follow me @KathrineRoid. Named after you, working at the job you wish you had, possessing all your good qualities, dressing, thinking, and acting like you, this is the beginner’s Mary Sue. When I first started writing as a teen all my protagonists were copies – maybe idealized copies, but still copies – of me. Trust me, this is a bad idea. You will get too attached to your character, not allow them to grow and 3D-ize naturally, and will squish the story to fit the character, instead of the other way around. She is gorgeous. She will whip anyone in a fight. She can not lose. She gets all the guys she wants. If she’s got a fault it something like “a little clumsy when not on the battlefield.” She’s a Mary Sue. These are the characters that annoy people. Unfortunately, these Sues also tend to masquerade as Really Cool characters. And it’s really temping to make your favorite character Really Cool. She was abandoned by her parents, has strange eyes that see into your soul, and will die in her lovers arms to be brought back to life at the Crucial Moment. If you’re wondering how you could possibly write a character this terrible. . . well, maybe not that terrible. But letting “little” cliche attributes pile up is easier than you think, especially if you are not well-versed in cliches. Despite the female name, Mary Sues do not have to be girls. Guys can have the qualities too. Now, whether you call a male Mary Sue a Gary Stu or Murray Sue or Marty Stew is subject to some debate. For the sake of simplicity, however, I will only use “she” in this post. Substitute “he/she/it” in your mind. Originally, Mary Sues referred to original fanfiction characters. Even more originally, it referred to original Star Trek fanfiction characters. A short story mocking the abundance of young, perfect, attention-stealing insert characters coined the term. It is viewable here: http://www.fortunecity.com/rivendell/dark/1000/marysue.htm The term “Mary Sue” has lost a lot of its meaning in fanfiction due to general overuse and definition fuzziness, but plain fiction writers have happily adopted the term. How can I tell if one of my characters is a Mary Sue? Well, the easy way is to try a Mary Sue test on the character. Now, in no way is a simple yes/no test perfect, but I’ve found such tests very useful. I’ve compiled links to the tests I’ve found most useful. They are intended for straight fiction characters (many tests you find will be intended for fanficiton characters). 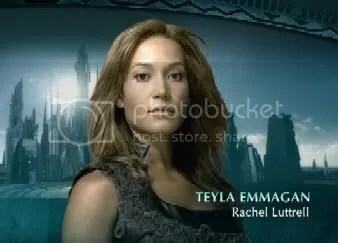 I just realized why Teyla is my least favorite character on my favorite show. She's an orphan, the leader of her people, a keen warrioress, partially Wraith, and the only new thing she struggles to understand is Earth culture. No wonder she annoys me. Oh dear. How do I fix my Mary Sue? Fixing Mary Sues isn’t too hard, as long as you’re not too attached. What exactly you need to do to fix your Mary Sue depends on what is wrong. But first, let me define “fixing.” I do not mean going, “OK, maybe I can cut that out,” and de-checking boxes on a Mary Sue test until you are down to a reasonable score. I mean taking a grand look at your character, picking up the worst problems one at a time, and figuring out what should be there instead. So, she’s actually you, huh? Here’s a quick tip: change her (or his) name. I mentioned above that all my first protagonists were coppies of me. Well, one of those protagonists has since been rewritten (along with her accompanying story line) into someone else entirely who can carry a novel on her shoulders. The first step was to change her name. Then figure out how much of your storyline was pandering to the fact she’s you – and cut it. Leave her alone for a few months. Come back and figure out who she really is. Backstory is perhaps the easiest to fix, and it’s even easier to fix if you’ve yet to start writing (this is why you test for Mary Sues in the development stage). Just. . . change their personal story. If you’ve already begun writing, you may need to add or delete scenes, but trust me, it’s for the better of your novel. This only gets tricky if you have a bad backstory giving a character their motive or something for integral to the story. In this case it’s back to the drawing board: your character is underdeveloped. Decide what is really causing Mary Sue to act. Ditch the purple eyes and raven hair and the out-of-time-and-place clothing. Make sure she has a real character flaw – or three or five. Realize she is not going to stay calm and collected no matter what, and certainly not when everyone else is panicking. Take a look at your character arc: how has she changed by The End? Or did you make her perfect at the beginning and leave no room for development? If you just realized that Mary Sue easily switches from being an apothecary to leading the rebel army, if Mary Sue never gets honestly beaten or makes a mistake (without a reasonable excuse), if Mary Sue develops amnesia, and becomes royalty. . . hopefully you’re only outlining. 🙂 Take bad plot points out and figure out a better way to get from the A before the point and the B after the point. Add good plot points (your character receiving the consequences for being a smart alec, for example). Think carefully about realism, since many Mary Sue plot point borderline the fantastic. If you find that a character is just too deep a Mary Sue to keep alive and just can’t make it in your story, that’s OK. Sometimes its easier to start over from the beginning rather than try to revise the unrevisable. Just last year I scrapped a complete draft and started over from the beginning. It was that bad. ~Those tests are for symptom of the disease. Not every point is to be avoided like a hurricane; Mary Sue characteristics – when used with restraint – can be done well. See below. ~Yes, it is possible for you to see Mary Sue qualities in a character from your favorite or a classic book. If you are a really, really good writer, you can pull off a great story with a Mary Sue. And I mean J. K. Rowling good (try doing a Mary Sue test for Harry Potter). ~Every writer has made a Mary Sue in their day. You will too at some point. You are not J. K. Rowling. If you think you are, there’s a name for that psychiatric condition. We’ve all heard you need to write every day. Have you thought about reading every day? Today I updated my links, and if you ever have the time, explore the bottom of my sidebar. While going through my subscriptions to find those links, I noticed I had two sites that supplied free, frequent, short fiction of my genres. I’m not sure if writers who read every day specifically perform better, but I’d guess yes. These are free and entertaining resources. Why not give reading every day a try? No, I don’t write for Avenir Eclectia. Not yet. 😉 This is a really neat thing these authors have going. Daily Science Fiction is a free e-zine. There’s a flash fiction piece every day Monday through Thursday, and a longer piece on Friday for the weekend. Daily Science Fiction’s name is slightly deceiving: although most of what’s published is science fiction, but fantasy and slipstream are less than shunned. What impresses me with this e-zine is the quality of the fiction. I can always expect very entertaining and creative works. Reading the day’s flash fiction before I start my daily outlining/worldbuilding/writing/editing opens my mind. Do you have a favorite place to read your genre? While looking back at my drafts, I found this post, made to complete a series I wrote on science fiction and fantasy subgenres. Originally I was going to include adventure subgenres in this post, but on further thought I decided they will get their own post. Thrillers have some general characteristics: focus on plot, non-stop pace, high stakes; but this is enough material for several subgenres. Until I did my research for this post, I had thought of thrillers under a general category, and wondered “How many divisions could there possibly be?” Silly me. My post on science fiction subgenres. My post on fantasy subgenres. Take any other thriller subgenre, give it’s defining elements a back seat, and focus on the action, and you have an action-thriller. This is more common in movies than novels because of the visual appeal of explosions and violence. In this subgenre the protagonist must confront a large, powerful organization whose threat only he sees. Usually he must do so alone. This subgenre focuses on crime, and is usually from the criminal’s point of view. Physical action and eluding the police take the place of gathering evidence and trying to discover the criminal. In this subgenre a (usually) natural disaster is taking place, and the antagonist is either trying to stop the disaster, the extent of the disaster, or just save themselves before time runs out and the disaster has run its course. In this subgenre the protagonist(s) are forensic scientists whose involvement in an unsolved crime threatens their lives. This subgenre takes place in and around the courtroom. Usually the protagonist is a lawyer who has found their case threatening death for either them or their client. This subgenre involves something usually used for medical purposes becoming a deadly weapon. Often it is a virus that is leaking out to the public. The protagonist or antagonist or both are doctors. In this subgenre political relations or the whole government is at stake, and the protagonist is employed by the government to stop the decline. The protagonist may have been low-level before having attracted attention. A personal favorite. In this subgenre a lot of the conflict is mental, rather than physical. The protagonist has become involved in a dangerous situation which literally threatens their sanity. They must use mental prowess to overcome their opponent, whether the battle is inside their own head or it a battle of wits. This subgenre uses the history and myths of religion. Usually a religious artifact or historical secret is discovered, and different people and groups vie for control. This is a subgenre of both thrillers and romantic novels. The plot line follows a typical thriller’s tension, suspense, and excitement, but a main element is the growing relationship between two characters. It’s hard to call this a genre mash-up when spy novels almost have to be thrillers. At any rate, this subgenre focuses on the high adventures of field agents. It is usually set against the backdrop of some war. In this subgenre otherworldy elements are introduced, usually as an antagonistic force, but just as in the romantic thriller, the plot line and feel or distinctly that of thrillers. Some characters may have psychic abilities and other supernatural novel elements may be present. This genres is a cross between near-future science fiction and thrillers. Cutting-edge technology plays an important role, either as something to obtain, or working for or against the protagonist. What types of thriller subgenres do you enjoy most? Have you ever dabbled writing thrillers? Anything I missed? Many thriller subgenre lists I found on the internet were incomplete, and I’ve done my best here, but I’m always open to additions.